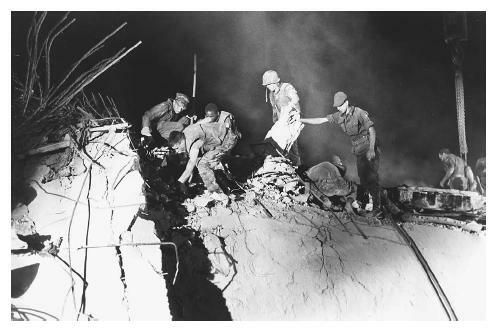 U.S. Marines and an Italian soldier, right, dig through the debris at battalion headquarters in Beirut after the bombing. Beirut Memorial Online. < http://www.beirut-memorial.org/history/ > (April 7, 2003).